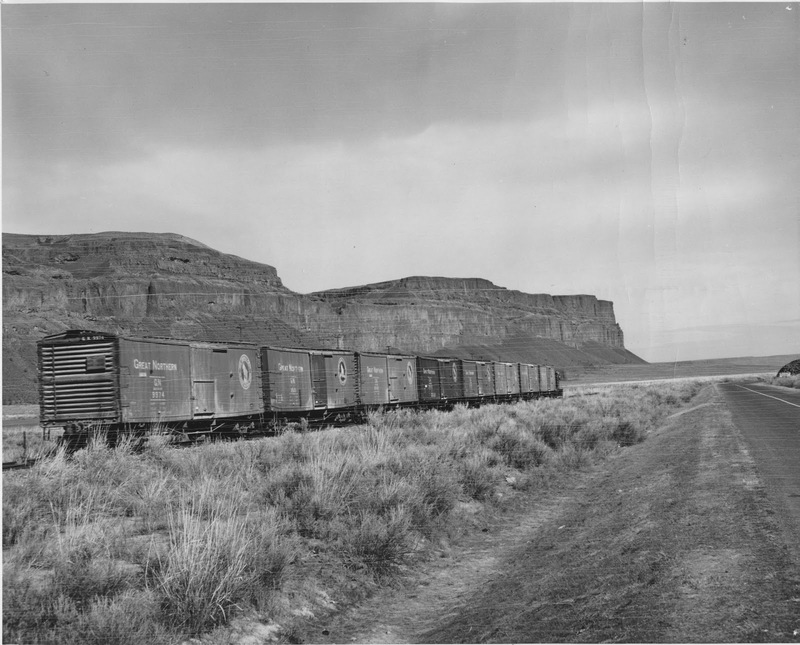 Most trains bound for Grand Coulee were just like this one on April 6, 1949; boxcars of bulk cement. There were different sources of cement for use in construction, to help meet the incredible demand. These particular cars more than likely were handed off by the Great Northern to the Northern Pacific at Adrian, Washington, for delivery to the Construction railroad at Odair.